Fall Fest 2017 is finally here! 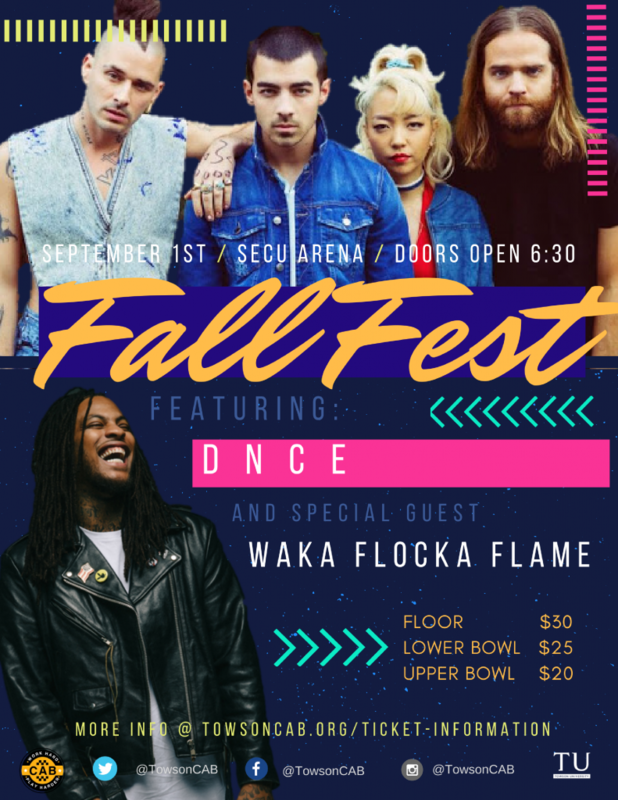 On September 1, join us in SECU Arena beginning at 6:30pm for DNCE and special guest Waka Flocka Flame. Tickets go on sale for TU students on August 16th. Click here for more ticket info! Questions? 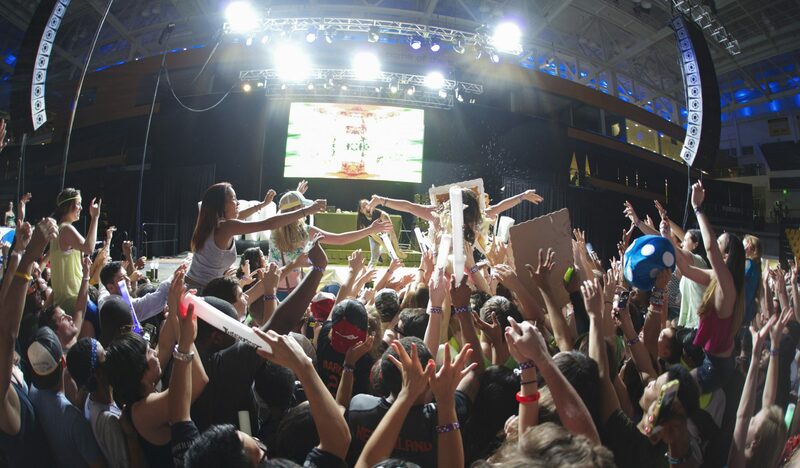 Email us at cab@towson.edu or send us a message on Twitter, Facebook, or Instagram.